Not that Delhi has any dearth of interesting places to visit, but if you feel like venturing out of the city for a weekend or a long weekend to an offbeat destination – Delhi doesn’t disappoint you there as well. Delhi has the foothills of the Himalayas on two sides and the Great Plains and the Aravali range on the other side. And this give us the choice to visit some offbeat & hidden gems from ones nestled in the Himalayan foothills, to the the great Aravali range or among the so many forts and places of Rajasthan – all within 4-8 hours drive from Delhi. 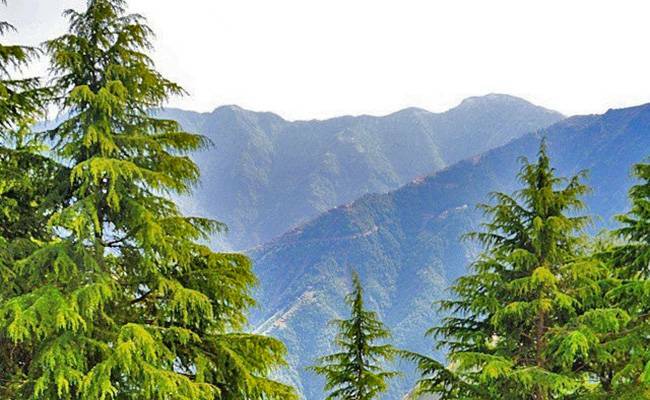 When we talk about lush green forests, snow clad mountains, perfect path for trekking , serene and soulful beauty of mother nature and one of the closest and lesser known places around Delhi, we are talking about Kanatal. Mere 300 Km drive from Delhi this is located in Uttrakhand and one of the unexplored hidden treasures. 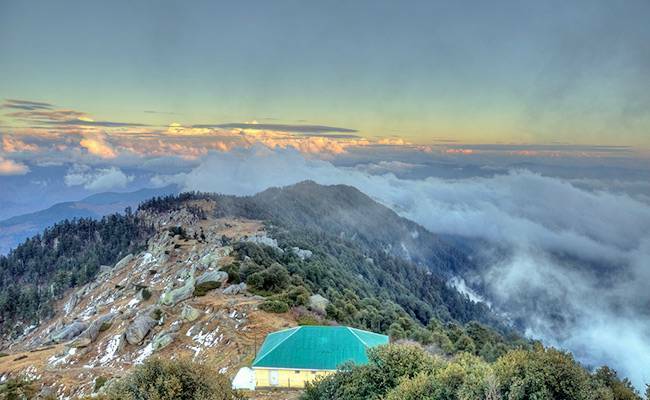 Located at a high altitude you may visit the place just to relax and enjoy the beauty of the place as it does not have many attractions to offer apart from Kodia jungle, Tehri Dam and the very old Surkunda Devi Temple. This small village is offbeat hill stations thus make sure you do the accommodation arrangement beforehand also you would not find many fast food joints here. You could take a walk in the forests or drive through them and might get lucky if you spot a wild animal during the course. Jilling could be called a place for honeymooners because it gives them the seclusion they need, for the bachelors group who want to trek and explore the wild life, for the family who just want a weekend getaway and spend a lazy weekend. To put it in a nutshell the Kumaon range of Uttranchal has something for everyone. 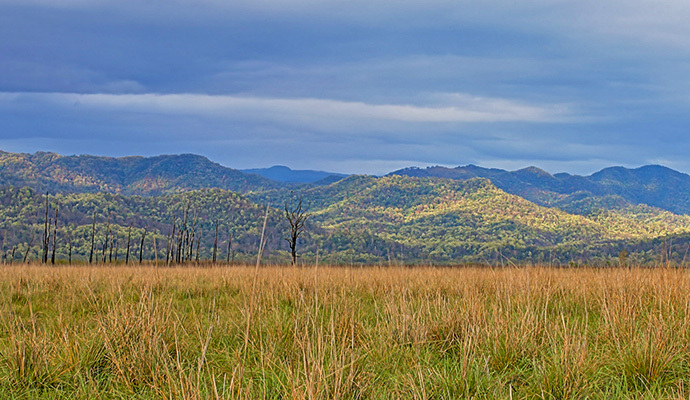 This place is not connected with road and that could be a probable reason it still holds on to its natural beauty and varied wildlife. Jilling is just 300 km away from Delhi but the drive there could take as long as 9-10 hours. Though the roads are good it’s a little Zig zag that takes time to cross. The best option could be the 10.45 am, Ranikhet express which takes around 7 hours only, but drops you at Kathgodam. Enter the Jilling estate with a laid back attitude and just sit back and enjoy what this place has to offer. Churdhar is an offbeat trekking and camping location which is approximately 380 kilometers from Delhi. This place is open during the season only which starts in April until October. There are couple of resorts nearby as well but advisable is taking a halt at the camps only. 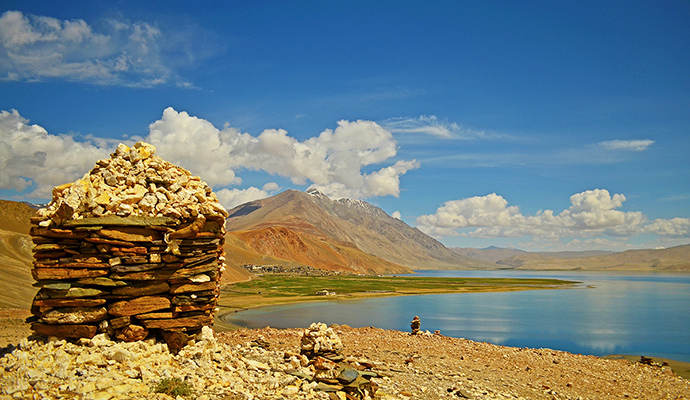 Situated at a height of approx 7000 ft this places has a stupendous view to offer. Churwadhar is well connected with the road and the drive is smooth via Chandigarh. The camping spot is on the top of the hill and is a centrally located place. There are a lot of fun activities to do like Rappling, rock climbing, trekking, cycling, river crossing and many more. So try out the adventurous hidden side of yours and bask in the scenic beauty. Stupendous breathtaking view, dense forest, greenery everywhere and wide spread apple orchard all these converged and the place was called Chindi. Located in Karsog Valley of Himachal Pradesh this small trace bearer of the British era is about 430 km from Delhi. 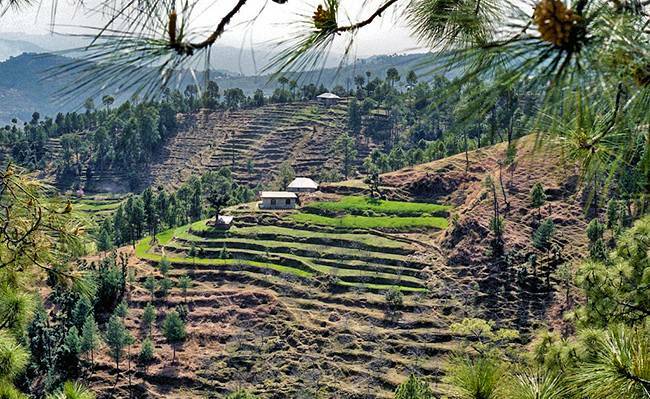 Though being an offbeat hill station Chindi has its own charm and offerings. It takes you away from your routine life and rejuvenates you. It has a lot of scenic beauty to offer and also several temples. The place can be visited throughout the year. Kunhoo dhar that gives a complete 360 degree view of the area is a must see point here. You can also see Hanuman Tibba and Pir panjal from Kunhoo dhar, also the view that you get from this hill top is beyond words and expression. A small town in Himachal Pradesh where has a literacy rate higher than the national average rate. 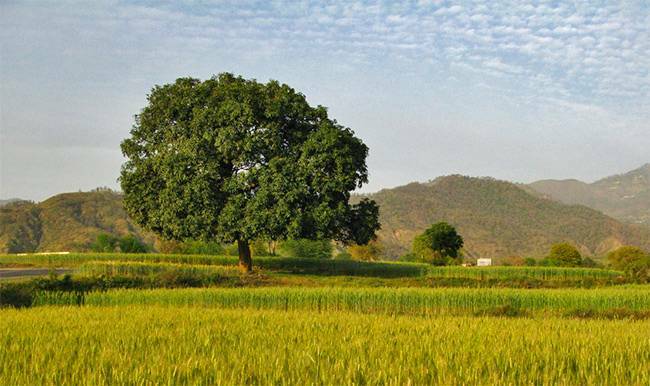 Nahan is situated on the hill top and is one of the most magnificent natural beauties. There are a lot of temples here and some are as old as almost 300 years. There is a Suketi/ Shivalik park that is 21 km from Nahan and is a must to visit during the trip. The place is very clean and it’s very difficult to find even traces of dust here that is also because this is a cantonment area. Nahan is approximately 250 km from Delhi and he drive to this takes places almost 5 hours. The place is very quiet and the resorts here offer you the same, coziness, luxury and harmony. Based in the heart of Shivalik and having picture perfect scenery you could visit the place for serenity and the history related. 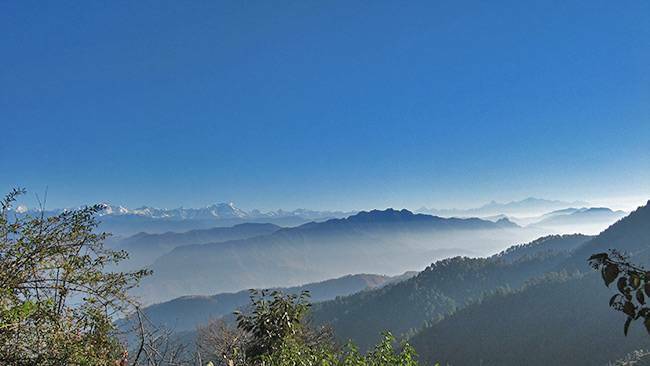 A small hill-station in Solan surrounded by Outer Himalayas in the north east and Shivaliks in the south west Nalagarh, is known to few people. It’s approximately 300 km from Delhi and the gateway or the entryway to Himachal. This place is a semi hilly area and surrounded by greenery, you would also notice lots of ruins of the forts once here. The major attraction here is the Nalagarh fort which was built by Raja Sunder Singh and now turned into a heritage property. Also known as Nawalgarh, the place is famous for fishing activity and boating at the Gobind Sagar Lake which is a picnic spot too. Nalagarh should be visited between March and October. Since the Chandel Rajputs who founded the places were patrons of art and culture the place thus shows excellence in craftsmanship and architecture. You can drive to Nalagarh from Delhi or Chandigarh or you can also take a train from Delhi to Ghanauli, which is the nearest railway station to Nalagarh. 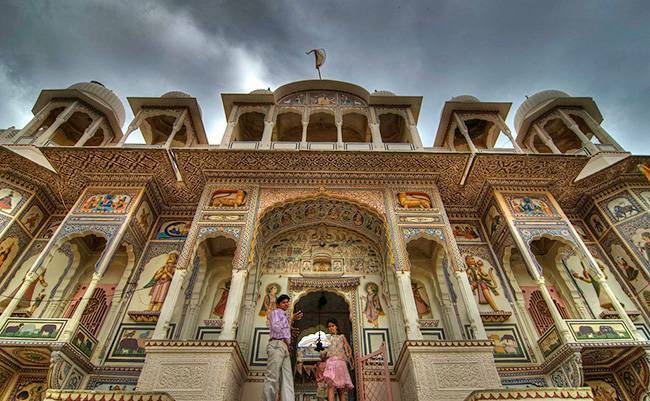 Known for its grand haveli, forts and architecture, Mandawa is a small town in the Jhunjhunu district of Rajasthan. Unlike the rest of the offbeat locations this place is well connected with other places with good network of roads. The Mandawa fort is the biggest attraction here which was founded by Thakur Nawal Singh in 18th century. The fort now has been converted into a heritage hotel. Apart from that there are several other havelis here which makes the place resembles some open art gallery with lavish painted walls depicting splendid art. A visit to Mandawa gives you a fairytale for a life time with castles, forts, palaces paintings all around you. You can reach this destination conveniently by road which is an approximately 255 km and a 5 hours drive from Delhi. A train from Delhi can also be taken but the last stop would be Jhunujhunu or loharu after which you need to take a taxi to Mandawa. 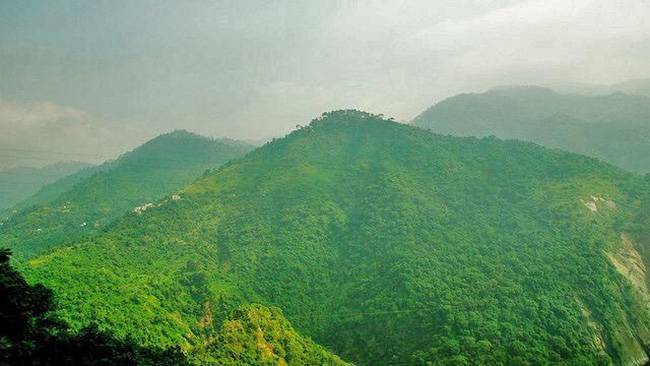 Located at a distance of approximately 275 km from Delhi, Parwanoo is a city in solan district of Himachal Pradesh. This is one place that helps you relax and rejuvenates. Parwanoo welcomes you with warm hospitality and offers you a break away from your fast paced life. The resorts and hotels have a magnificent and breathtaking view to offer but you should not expect a five star treatment from the place. Everyone is laid back and relaxed and so should you while visiting Parwanoo. 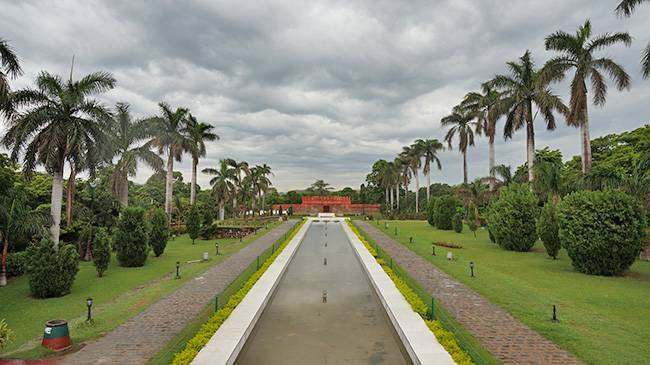 While visiting Parwanoo you should also visit the Mughal style garden in Pinjore which is at a distance of 10 kilometers. 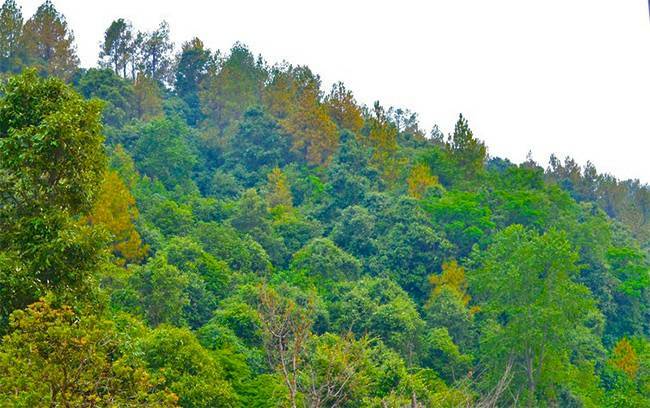 This small hill station should also be visited for cable car and Timber Trail resort. You could take a Kalka Shatabdi from Delhi which takes almost 4 hours and from Kalka you could take a taxi to Parwanoo which is just a 3.8 km away. You could also drive or take a bus and both takes almost 7 hours on the outer side. A small town in the Panchakula district of Haryana, Pinjore is located at a distance of approximately 260 km from Delhi. Known for its Pinjore Garden or Yadavindra Garden which has features of both Rajasthan and Mughals styles.The garden is open from seven in the morning till ten in the night and is illuminated by several lights in the evening, surely a treat to watch. Pinjore is also the venue for hosting for several events including the Mango festival. The mango mela which is a significant event here is held in July every year which is the exhibition of various kinds of mangoes. You could visit the place for an awesome picnic spot, the hilly terrain, the stone craft, varieties of plants and greenery spread over 100 acres of land and the local craft. To reach Pinjore you can take a train from Delhi to Kalka and then a 4 km drive from Kalka to Pinjore or you could drive straightaway and it will take approximately 5 hours. A historical, artistic and romantic place Samode is an unexpected, charming and lesser known place. The Samode Palace, Samode Garden and Samode Haveli is not all what the place I about, it reveals intricacies in craftsmanship and colorful artifacts, the sand dunes kissing the horizon and the hospitality of the locals and of course the relishing food. 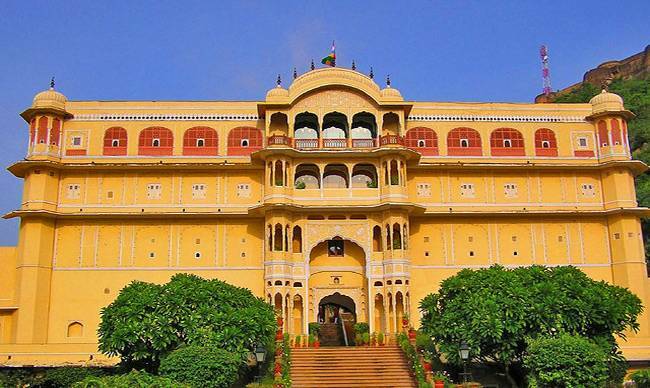 This magical and vibrant place will let you touch the true essence of Rajasthan. Samode, a large town in Rajasthan is 230 km from Delhi and not actually an offbeat or lesser known place. Well connected by roads and backed by Rajasthan Hospitality it’s a flourishing tourist destination. A trip to Samode will make you an oasis of serenity, memories to treasure, a walk in the history and a taste of impeccable hospitality. It takes almost 4 hours to reach Samoda from Delhi. This list hardly does justice to a collection of Offbeat Destinations near Delhi but makes a good starting point. We will keep discovering and bringing to you more offbeat places around Delhi in our coming articles.